For a prime example of quality Mercedes-Benz engineering, look no further than the E-Class Coupe. A sportier take on the luxurious line, the Mercedes-Benz E-Class Coupe embrace®s the elegant design philosophy of its name with a spacious, pillarless design that emphasizes its open, airy cabin. This isn’t like the cramped coupes of yesteryear—the E-class boasts spacious seating for four, bespoke air vents, and a giant standard Panorama view. The Mercedes-Benz E-Class Coupe is a beast under the hood, with an available 329-hp biturbo V6 engine that can take you from 0 to 60 in a mere 5.5 seconds. But it’s versatile too—its 9G-TRONIC® automatic transmission is one of the smoothest and most adaptable on the road today, while the innovative DYNAMIC SELECT® system lets you customize the feel of your ride with ease, whether you want the the gentle cruising of Comfort mode or the sheer thrill of Sport+ mode. 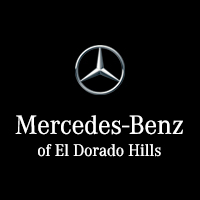 But words alone can’t capture the joy of driving an E-Class Coupe—for the full experience, you’ll want to contact Mercedes-Benz of El Dorado Hills to schedule a test drive. With our diverse inventory and flexible financing options, it’s easy to find and purchase the Mercedes-Benz model of your dreams via Online Shopper. Come on out and see the E-Class for yourself!